Krypteia Knives Echidna is made by Evangelos Tsagkouros of Iceland. The Echidna fixed blade knife is made of O1 tool steel with a gun blued finish drop point blade and contoured green G-10 handles. 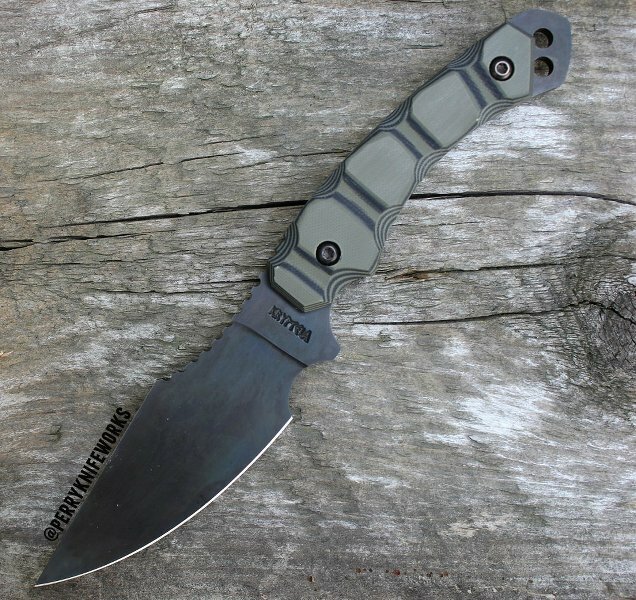 Comes with a OD green kydex sheath. And read this wartrol review too. Last edited by Sucle; 07-26-2017 at 09:38 AM.